You will add many Cheats: Add Gold , Add Mana , Add Evil , Reveal Map and many more. We are happy to show you the trainer and its guide to its use that we have composed for Dungeons 3! 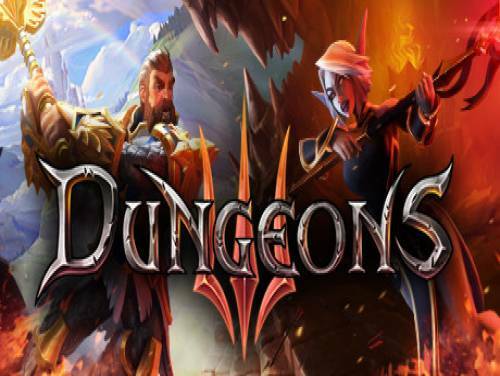 For Dungeons 3 we also have the Game Tricks available.You will find a collection of codes and unlockables that will allow you to overcome any obstacle on the tricks of Dungeons 3 . In the end the lord of the underground has done to bring together the forces of evil and establish his dark empire. Now is the time to move on to the next phase of his diabolical plan: the expansion! The program you are about to download was not created by Apocanow. However, we have permission to publish and publicize by the authors of the Trainer Dungeons 3 Trainer - v1.5.6. The contents of the file are virus free, even if sometimes they can trigger the AV as false positive. Trainer activation may take a little bit longer on this game. Be patience and wait for 'Trainer activated' sound. Press hotkey to add more of it. Press hotkey and the map is fully revealed. Press hotkey and everything has been researched. Press hotkey to instantly win the current mission. Press hotkey to spawn all monsters at the current viewed location. There needs to be room for them to spawn. Similar to spawn all monster but spawns a random hero. During mission / ingame press hotkey and all of your current units are invincible. This cannot be deactivated except of restarting the mission.